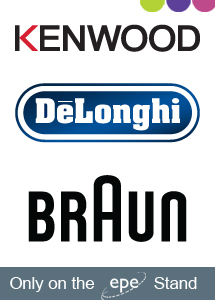 Kenwood, Delonghi and Braun have announced that they will be exhibiting at the Exclusively Electrical show as a part of EPE International’s stand. Why not stop by for a chat with one of our sales representatives to hear about the latest deals we have to offer? 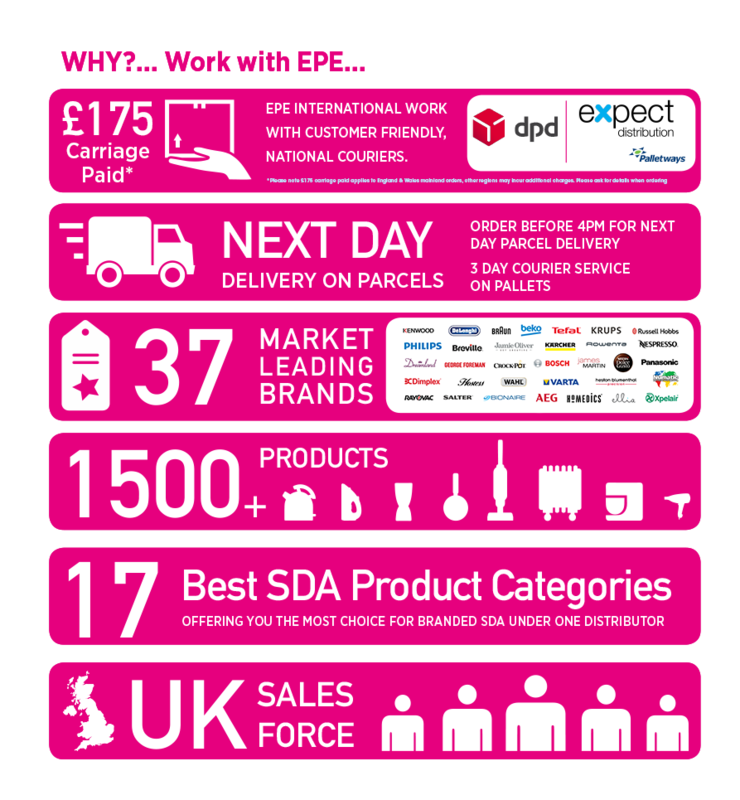 With all NEW product lines and EPE exclusives we will be showcasing the very best 2015 has to offer, not forgetting our premium product portfolio. Don’t miss this opportunity to meet face to face with the UK’s leading Branded SDA distributor, we are proud to present to you the most premium brands and the most choice under one distribution in the UK all under one roof at the Exclusively Electrical Show 2015. Stand No. 52, 9-10 June, Business Design Centre, London. This is sure to be an unmissable new housewares industry event.